Ed & Nicci are an amazing couple and I’m so pleased they were recommended to me for their wedding at Clissold House in August. I’d been looking forward it for some time and just a few days before the weather forecasts were all predicting heavy rain! The couple had thoroughly prepared themselves with lots of clear umbrellas and sure enough as I walked through Clissold Park that morning to Nicci’s hotel, the heavens opened! As I arrived I was met with an entourage of bubbly bridesmaids and a very excited Nicci as they all got ready in the busy hotel room. With action taking place in every corner I was dashing around capturing all of the enthusiasm and anticipation leading up to the ceremony. By the time Nicci was made up the clouds had cleared and the sunshine finally emerged as I headed over to Clissold House to meet Ed and the boys. The couple exchanged their vows to a very tearful audience and this made for a very emotional ceremony. After they walked down the aisle everyone was very excited to congratulate them and Ed’s dad began the celebrations with a toast. 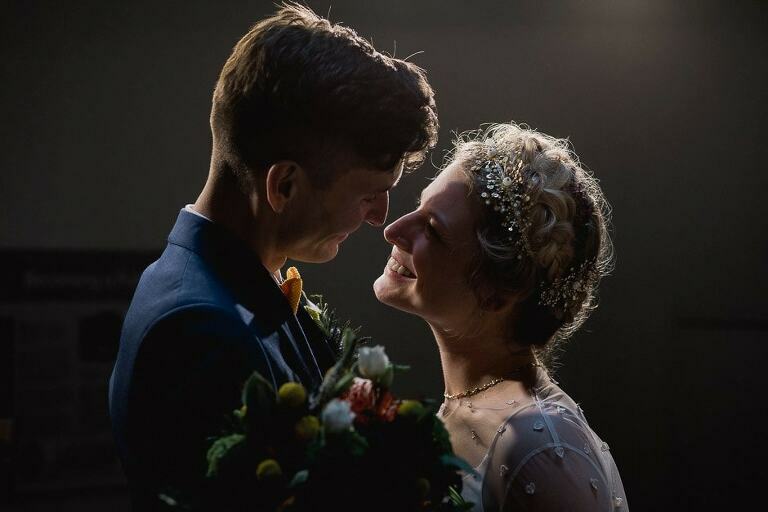 Ed & Nicci were really natural in front of the camera for their couple shoot and went on to surprise their guests with a fantastic brass band to walk them over to the West Reservoir Centre in Hackney for the reception. Being one of the most unique spaces in London it’s easy to see why the musical couple chose this stylish and quirky venue for their wedding. Everyone mingled on the terrace overlooking the reservoir enjoying the sounds of the best men rocking their guitars. After the wedding breakfast I threw on the mandatory life jacket to take Ed & Nicci for some beautiful sunset shots on the jetty. The evening continued in style with some great speeches, lots of singing from Ed’s dad and some awesome moves on the dance floor! Ed & Nicci’s big day was an epic adventure from start to finish and really stands out as one of my favourite weddings ever………..